Intel introduced the mini-STX motherboard design in August as the 5x5, and now hardware makers are picking up the torch. Intel’s itty-bitty mini-STX motherboards are poised to become real in 2016. 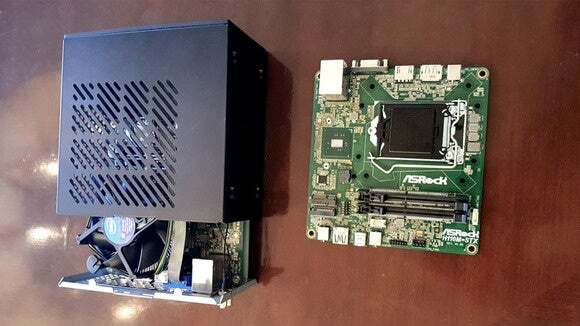 Several PC makers and component makers were at CES last week showing off early concepts of how they plan to use the new motherboard design, from mini-PC concepts to cases and, of course, the motherboards themselves. Intel first introduced mini-STX in August, although it was christened "5x5" at the time to denote its size—generally 5 inches by 5 inches. 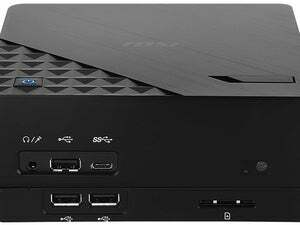 This board is significant since it fills the gap between the Intel NUC and the mini-ITX form factor. It also allows you to switch out your CPU, unlike NUCs. The impact on you at home: It’s easy to imagine mini-STX motherboards becoming popular for home theater PCs designed for video streaming and non-intensive games on Steam and the Web. The mini-STX form factor could also be a great option for anyone who doesn’t need a powerhouse of a PC and needs to save a little space around their desk. As for the products themselves, the most notable mini-STX action came from ASRock. 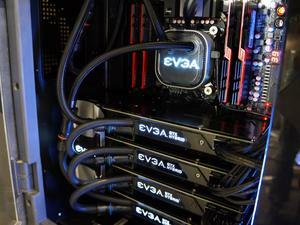 The company was showing off its H110M-STX motherboard and the mini-STX building block PC, which are pictured at the top of this article. ASRock says its mini-STX motherboard can support a standard desktop CPU fan, while competing boards don’t. 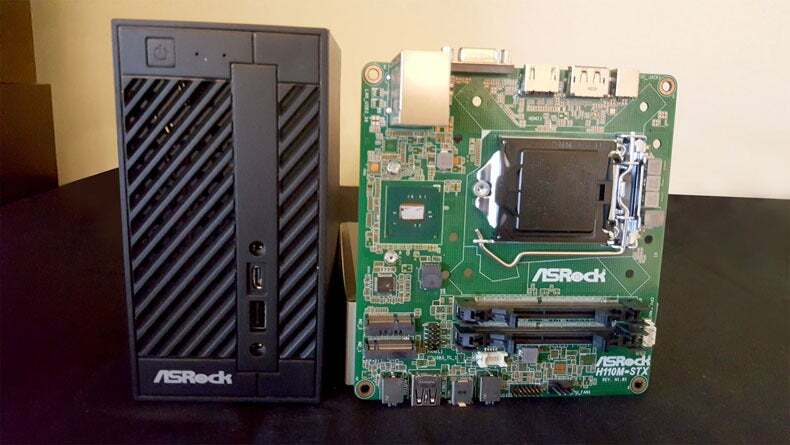 ASRock’s mini-STX board—like other mini-STX mobos—can support your choice of a Skylake Core, Pentium, or Celeron processor using the Intel H110 chipset. It also has 2 SO-DIMM slots for DDR4 2133MHz RAM, VGA, HDMI, DisplayPort, and four USB 3.0 ports, including one Type-C.
ECS was also at CES with an engineering sample of a mini-STX board that Maximum PC sneaked a peek at. The board, dubbed the H110SU-02, supports either the Intel H110 or B150 chipset, the same processors, and similar set-ups for USB ports and RAM. Finally, case maker Silverstone had a basic black mini-STX PC case that Tom’s Hardware took a look at. The case looked smaller than ASRock’s, and Tom’s Hardware said it would probably have to rely on an external PSU as there’s so little room in the box. Be aware that all these mini-STX products are still in the early stages of development, however. We don’t yet know when any of these mini-STX products are set to roll out or how much they’ll cost.